Armed resistance was not the only line of defense to keep alive the spirit of Koreans living under Japan’s 1910-45 colonial rule. Some fought for preservation of the language with their lives, others for its literature and other forms of art. Chun Hyung-pil’s battle was to keep the country’s cultural properties within its territory. 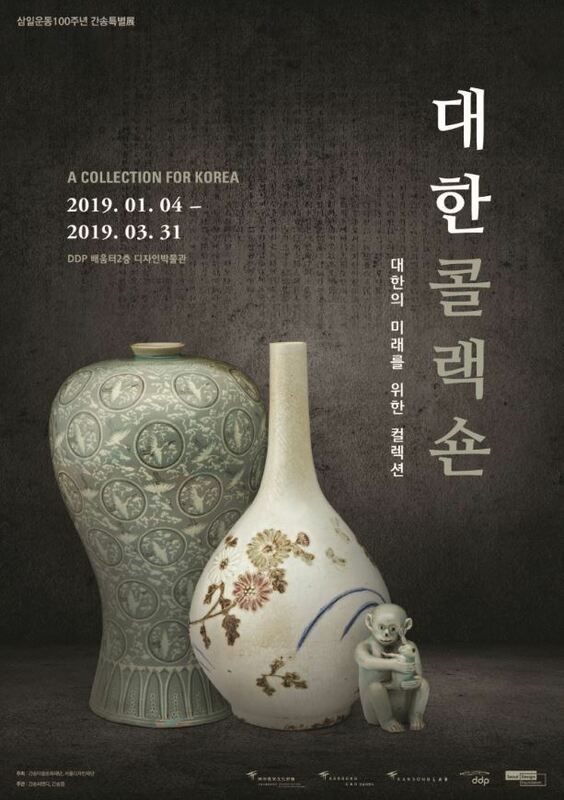 Achievements of Chun, also known by his penname “Kansong,” are commemorated in the special exhibit “A Collection for Korea” that will continue through March 31 at Dongdaemun Design Plaza in central Seoul. The event holds particular significance as it coincides with the 100th anniversary of Korea’s historic March 1 independence movement of 1919. Chun himself played a part in the movement, as he operated Posung Middle and High Schools, of which many members played a prominent role in the movement. While Kansong never aimed a weapon himself, he contributed by making sure many of the country’s cultural assets stayed in Korea, away from the prying hands of Japanese collectors. The son of a former nobleman, he used all his immense wealth to buy priceless ceramics, historical relics and works of art, many of which were later designated national treasures by the Korean government. The exhibition, located inside the Design Museum on the second floor of the Zaha Hadid building, displays cultural assets that Chun collected alongside the story of how he did so. 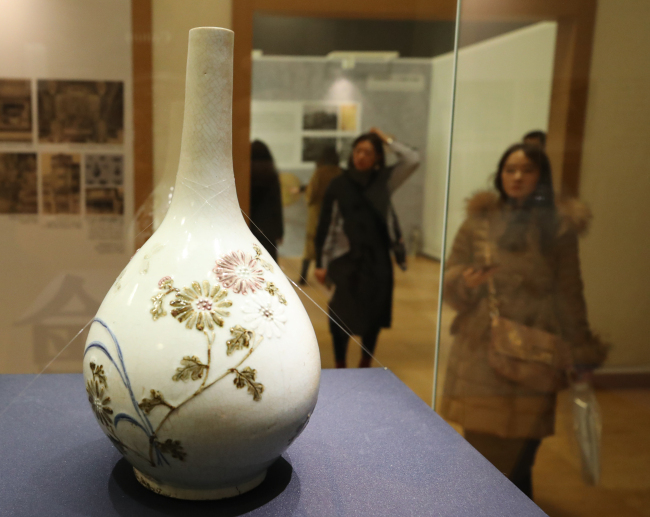 Smack in the middle of the event hall is the “Blue-and-White Porcelain Bottle With Chrysanthemum Design in Underglaze Iron and Copper,” and the story of how he got it at a high-end auction in what is now Seoul. Gyeongseong Art Club was an exclusive auction house open only to the most discerning of art collectors, and the aforementioned porcelain item was the most coveted on the block. A bidding war occurred between Chun and the owner of Yamanaka & Co., famous for buying many cultural assets from Korea and China during this time. No porcelain had ever been sold for over 2,000 won at the time, yet the price skyrocketed to clear the 10,000 won mark. 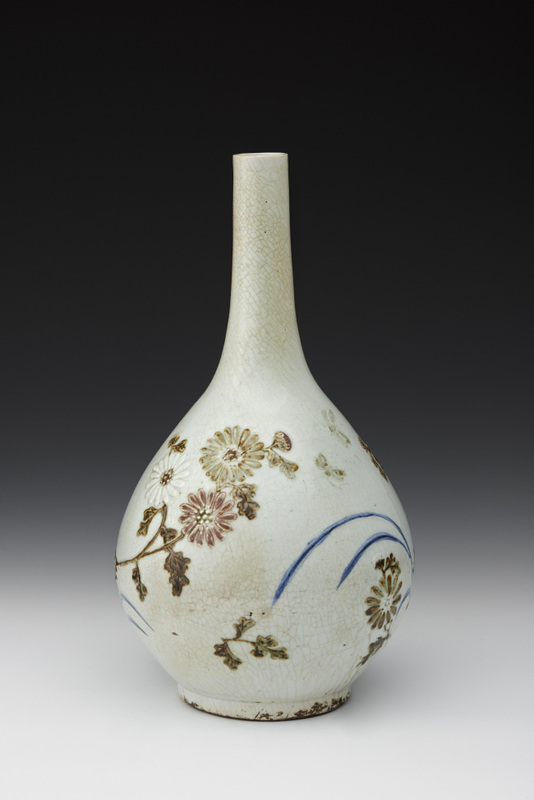 With Yamanaka refusing to back down initially, Chun was finally able to acquire the priceless vase at 14,580 won, which was the highest price paid for any item at the auctions’ history and enough to buy over a dozen houses at the time. The porcelain -- once used by peasants to hold sesame oil -- later proved to be worth the effort, as it was designated National Treasure No. 294 by the Korean government. Yet this was not even the most he spent among his collection. Right around the corner lies “Celadon Prunus Vase With Inlaid Cloud and Crane Design,” National Treasure No. 68, for which he paid 20,000 won. The story of how he acquired Gyeomjae Jeong Seon’s painting album borders on miraculous. As a young man, Chun was passing by the mansion of Song Byung-joon, a notorious pro-Japanese politician branded a traitor to his nation for signing the annexation treaty between Korea and Japan that resulted in Korea being colonized by Japan. As Chun took a gander, the owner of the house noticed and invited him in. As he was going to the bathroom, he noticed a servant about to burn what turned out to be a collection of the famous Joseon-era painter’s works. He snatched the book and bought it for 20 won. The last section of the exhibition is the “John Gadsby Collection,” which is comprised of a collection he acquired from British collector and lawyer John Gadsby in 1937. 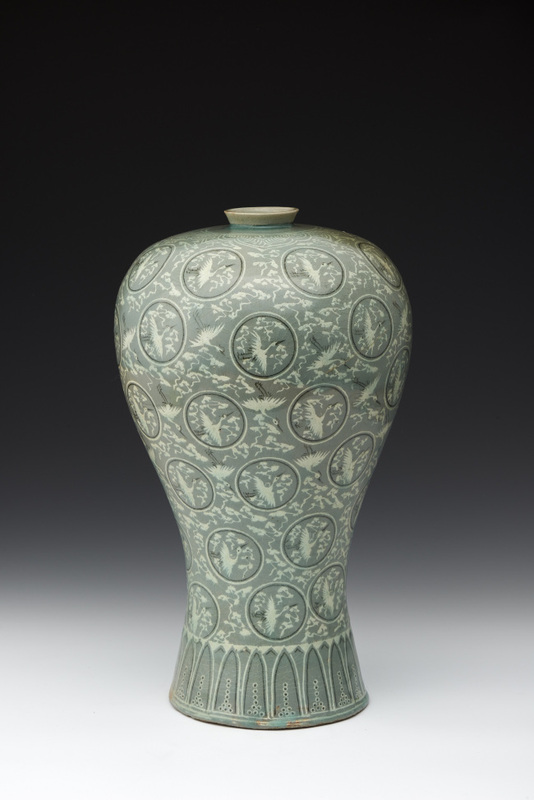 Chun had to sell an enormous plantation he inherited in order to buy the 20 porcelain vases, four of which were later designated as national treasures and five as treasures by the government. 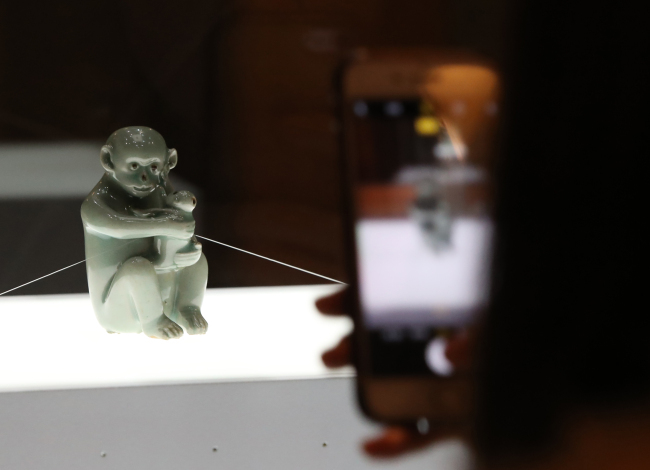 The exhibition focuses not only on cultural assets, but also shines a light on Chun’s life and the efforts he undertook to ensure no more cultural assets leaked from the country. Chun’s efforts continued during the 1950-53 Korean War, when he held on to the original version of the “Hunminjeongeum,” the script of Hangeul, throughout the war. His efforts are commemorated with the beautiful artifacts displayed in the exhibition hall. A guide providing information about the collection will hold daily tours at 11 a.m., 2 p.m. and 4 p.m., with additional tours at 7 p.m. on Fridays, Saturdays and on the last Wednesday of each month. The tour is in Korean, but an audio headset in English or Chinese is available. An English description is also available for the exhibit. The exhibition marks the final stage of a five-year tour by the Kansong Art Museum, which has been holding exhibitions at the DDP since the temporary shutdown of its original building in Seongbuk-dong in 2014. Kansong Art Museum, located in Seongbuk-gu, northeastern Seoul, will reopen as early as this fall and no later than spring next year, according to Jeon In-geon, Chun’s oldest grandson and the museum’s director. The building, erected in 1938, is currently under renovation, which includes refurnishing its storage building and restoring the old museum building back to its original design. There is also a plan to establish a regional Daegu branch by 2023.